14th Sep 2010, 5:00 PM - Check back on Saturdays...? A combination of the darn Halo: Reach ad which plays OH ABOUT EVERY 22 SECONDS ("How you doin'? How YOU doin'?") and the fact that I'm trying to sell a copy of Halo 2 on Craigslist, and here we are. 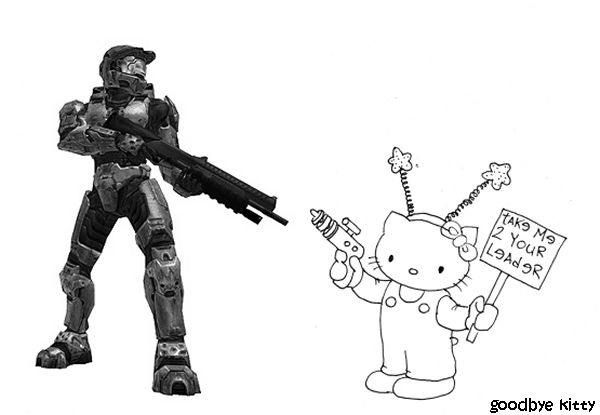 Then Master Chief posts himself at Kitty's respawn point and goes America. Booyah. If it wears those weird wobbly star-thingies... zapp it.